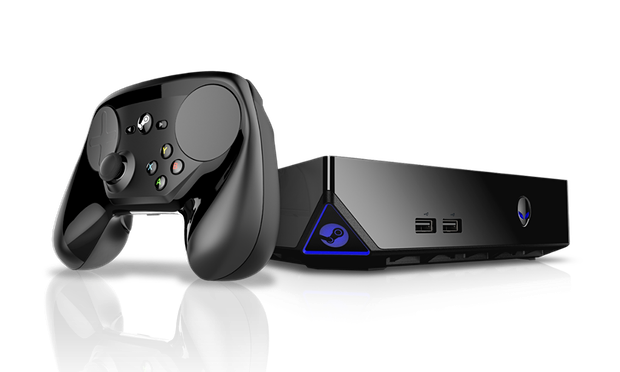 After years of rumours surrounding a PC gaming console Valve, the creators of one of leading Online PC Gaming stores Steam, announced that they were making their own PC-based console for the living room, the Steam Machine. However Value wouldn’t be manufacturing the console, instead there would be several manufacturers creating their own versions, with different specifications. But importantly they’d all be running a Linux-based operating system named SteamOS, and would all come with a dedicated Steam controller. In terms of a release date starting from November the first batch of steam machines will begin selling in stores, with units from Alienware, Origin and Falcon Northwest expected. Below you will get the detailed Review of Alienware Steam Machine Gaming Features and Specifications. But what is the actual machine like to use you ask? 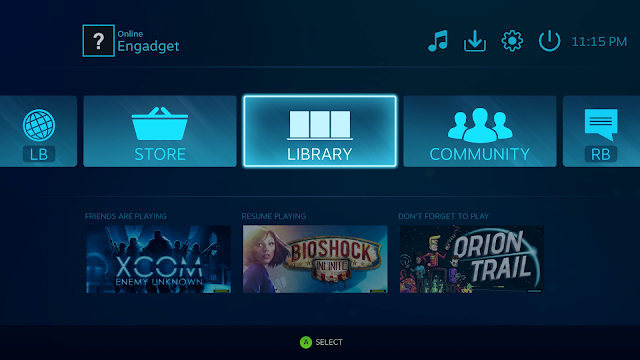 Well, when you power it up you get the familiar games console interface with a row of icons along the top offering all your settings, downloads and mail functions, while a row of options beneath lets you access the store, the library of games you have and the community features. Essentially it looks runs and handles like a games console. One of the most intriguing aspects has be the controller, which took over three years to develop so it would work with both joypad-centred games such as shooters, and mouse-driven titles including strategy simulations. As a consequence it has a led to a controller that has two trackpads, only one analogue thumb stick and multiple buttons on the fascia, shoulders and innerside of the controller’s two handles. Furthermore the controller is highly customisable as players are able to change the button settings so it works correctly for older games that don’t directly support the controller and then share there configuration online with other people. In terms of specification it varies generally on the select manufactures, but for example you can get a basic Alienware steam machine with an i3 processor and Nvidia GTX graphics for around £300 which is quite impressive. 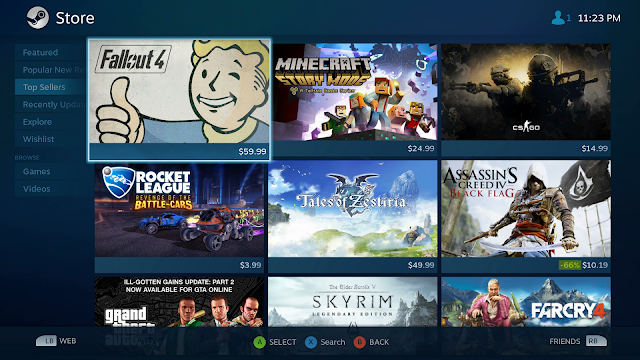 However there are some issues, currently only around 1,000 games on Steam support SteamOS so a lot of titles won’t run on Steam Machine, though Valve is adding several every week. Plus currently you won’t get the array of entertainment apps that you do on the consoles, like Netflix, iPlayer and YouTube. What’s more while Xbox One and PlayStation 4 can be sure publishers will maintain their machines for up to 7 years, Steam Machine may find PC titles moving out of their range in less than half that time. In terms of the design and visually speaking, the Steam Machine has a glossy black square finish with a matte black top and LED’s behind the power button and another highlighting a triangle-shape in the corner of the chassis. A Steam logo also glows out from this triangle-shaped cut which looks rather impressive and stands out. Not only that the Steam Machine comes with a few connections too it has two USB ports on the front, two more in the rear, a HDMI output, optical audio out and an Ethernet port. All in all the Steam Machine looks beautiful and works very well, it’s more than just a simple piece of hardware designed to Play Games on a TV. The best way to describe it is an ecosystem of dissimilar parts that come together to create a versatile platform you can use to play games on your TV, and I for one can’t wait to get my hands on it. If you’re considering to get Alienware Steam Machine, then you must check out Box.co.uk, a site that offers several gaming equipment as they have an extensive range of gaming laptops, PC’s, keyboards, headsets, GPU cards and much more at competitive prices.